Is your diarrhea flaring dangerously out-of-control? What’s even more frustrating is that it disrupts just about everything in your life. Your body is in pain and the energy tank is on empty. Most people don’t even want to venture more than 15 feet from the bathroom. And you never can be sure if you’re actually getting better. Sometimes it feels like it, but then it’s back to the toilet again. Despite everything you’re doing to stop the diarrhea, the only options you typically hear are powerful drugs, tests, or surgery. So you feel backed into a corner like an animal… Afraid and frustrated, all rolled into one. So what stops diarrhea? Do you have other options? And what’s really going on in your body? What if your diarrhea is getting worse because no one taught you how the body works? Think of your diarrhea flare like the water in a bathtub. Imagine you start to draw water into the tub for a bath, but then you can’t turn it off. And now water starts overflowing onto the floor, getting your feet wet and soaking everything. What a mess! You’re freaking out until you get the water turned off. A diarrhea flare is like having too much water in the tub. If the water level gets too high… it overflows. And if you don’t stop the flare from happening, it starts hurting everything in your body. Even just mild flares can leave you in bed with pain and diarrhea. The solution has two steps: You need to turn the water off and drain the bathtub. But how many different areas of your life are adding water to your bathtub? And where’s the shut-off valve? Flare Support is a 7-day program designed to stop the bathtub from overflowing and drain the water back to normal. It’s a system based on a deep understanding of how flares begin, persist and end.It shows you the many flare shut-off valves inside your body. It gives you fast relief through natural non-toxic pathways… And it speeds up the healing process, without the need cut out parts of your body or take powerful drugs (with even more powerful side effects). Instead, it shows you how to naturally control specific ‘flare triggers’ in your life. It shows you how to drain your bathtub. And keep it low. It takes you through a series of steps that you can use on a day-to-day basis that will drain the water to healthier levels and keep them there. And not only does it show you a step-by-step method, but it gives you a checklist that takes the ‘guesswork’ out of your recovery plan. So what’s the ‘guesswork’ factor? On any given day, if you were to ask a medical professional what caused your flare up of diarrhea, they’ll simply give you an opinion. And the opinion will vary from person to person. This variation leaves you confused and frustrated. You’re not really sure if your medication isn’t working, or if your diet is wrong. And you suspect that you could vastly improve your symptoms, if you had a clear set of guidelines that has worked for other people. How do you know if your flare is getting better? Just when you think you’ve got it under control, how will you know you’re not going backwards again? Flare Support gives you clear guidelines that enable you to see for yourself what’s causing your flare and what needs to change in your life, and how to prevent flares long term. Reason 1: Flare Support is built on a system we know works. We’ve been testing it for the last year on people just like you. Reason 2: It’s not a magic pill and doesn’t claim to be one. It follows the scientific research about how flares work. So what’s in Flare Support? Will the diarrhea stop? : Does it feel like your diarrhea will never end? What if you could get it under control in a few days? Flare support is a tool that shows you exactly what to do to turn things around in 7 days. The moment you understand how the ‘bathtub’ concept works, you’ll see that your flare doesn’t have to go on forever. The 4 Flare Supplements: This one factor will turn everything you’ve learned on its head. Anyone can drain their bathtub quickly once they learn the extreme power of these flare supplements. When you use these along with diet and lifestyle changes, you compensate for the parts of the body that just aren’t working right. You’ll start digesting better and replace those vital nutrients from all the diarrhea. Lifestyle ‘Flare Tools’: Most of us believe stress has something to do with flares. And ‘avoiding stress’ works for some, but most fail miserably. 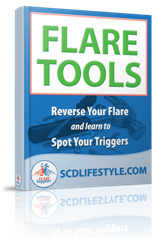 So what lifestyle ‘flare tools’ do you need to use right away? And why do they help reverse your flare so quickly? Preventing flares: The core of flare support is what to do long term. Even if you stop this one, how are you going to make sure you’re not flat on your back again in 3 weeks? Flare support not only shows you how to get control of your flare, but actually what needs to change in your life to prevent them long term. Taking care of your body: Easily the most important factor for flares is taking care of your body. But how do you know what to do? How do you avoid the stress and craziness of daily life? How do you take care of your body when there’s hardly time to get enough sleep? Flare support shows you how. Ignore this and it’s pain, meds, and bleeding all over again. Daily Inspiration: How to get through a flare when no one understands? We’ve been there, we’ve had diarrhea 10-20 times day. We know what it’s like to barely make it in time. During Flare Support, you’ll get one video each day for 7-days so we can personally be there for you. To lift you up, give you a hug, and give you the tools to keep pushing through this. Cooling Inflammation: You’ve probably heard about inflammation before. How do you cool down inflammation? It’s the foundation of Flare Support, and every ‘Flare Tool’ we give you during the 7-days will help cool down the inflammation burning inside your body. Is it OK to exercise during a flare? : Your body is built to move. But we read the signals all wrong. Instead of moving our body when we’re sick, we make the mistake of laying in bed, and it can make things worse. So what’s OK during a flare? How do we know our body is ready? You’ll be amazed that you’ve never realized this obvious ‘flare tool’ before. When to add new foods: It’s one thing to stop the diarrhea, but how do you go back to “normal” food and prevent another flare? There’s a simple way to add new foods. It has everything to do with the foods you choose to add first. With this information, you get the progress of expanding your diet without all the worry about triggering another flare. The ‘Flare-up’ Grocery Store Checklist: One of the worst parts about a flare is being stuck in your house. The risk of leaving the house; the risk of not finding a bathroom; the risk of embarrassing accidents. We’ve got you covered with a simple grocery store checklist so you can send a friend or family member to shop for you, or make it speedy if you’re on your own. What foods to you need? And how do you buy everything you need for the next 7-days? Your choice of ‘flare tools’: You can get all the information in the world, but if you don’t know which choice to make for yourself, the information becomes pretty useless. In Flare Support, we give you daily ‘flare tools’ to quickly take control… and we give it you in a way that’s easy to choose what works for you. It’s not one size fits all… and we don’t expect you to do it on your own. The ‘7-day Flare Menu’: The 7-day menu tells you what to eat so you don’t have to worry about it. It’s so overwhelming and frustrating when you’re not sure what foods caused you get here in the first place. We keep it simple and show you what we’ve tested and used with thousands before you. 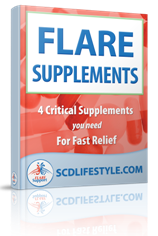 The ‘4 Flare Supplements’ Guide: There’s 4 critical supplements in Flare Support. Each plays an important role in draining the bathtub. In this guide, we explain the science behind each and show you what brands we’ve personally used so you can get them ASAP. 7 Daily ‘Flare Tool’ Guides: Just like diet and supplements are critical to Flare Support, so are these daily ‘Flare Tools.’ You know multiple triggers cause flares, but what’s really important is how you can use these simple, daily ‘flare tools’ to actually do something about it from this point forward. 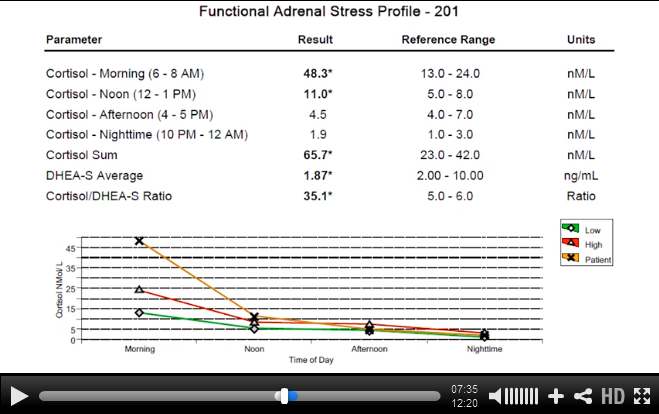 Each day, along with the video, you’ll get your ‘Flare Tool’… which is the only thing you need to worry about that day. Daily Videos: The daily videos make it super simple. All you have to do is watch the 5-minute video that day and you’ll know what to do. The last thing we want is for you to be overwhelmed, so we’re keeping it simple. Just watch the video and we’ll tell you what to do that day, step-by-step. Happiness and a hug: At the end of the day, non-stop diarrhea is really scary. Not many people now what you’re going through and what it’s like to see a bloody toilet. We do… and that’s why part of our daily videos includes a dose of happiness and a hug, because we know you need it. You don’t have to do this alone, we’re right there with you. What’s Different About Flare Support? Well to be blunt it isn’t an invasive or intrusive product. You can do it in the comfort of your own home. And there are steps and no randomness. These are steps that all of us need to take regardless of our diseases or problems. Each idea is specifically scripted to support our immune system, eat the right nutrients, and reduce inflammation. Not to mention there aren’t any side effects. But there’s something else quite unique about Flare Support. It’s been tested with people just like you. People you may even know. And it works. Because it’s simple and step-by-step, you won’t get confused or make any wrong moves. But I’ve already tried everything, how is this different? Most people with diarrhea are in trouble. They are severely malnourished and sick. Not only that, but it’s tough to leave the house when you need to stay close to the bathroom “just in case”. This program is designed to support you into controlling your diarrhea quickly and the longer you continue to suffer from out of control diarrhea the worse your condition gets. The biggest problem of all is not knowing what you’re doing right. And what you’re doing wrong. Flare Support not only gives you the ‘flare tools’, but also gives you confidence to forge ahead. Not only that, but we’ll give the belief and inspiration that you can do this… because you can! Customers often ask if Flare Support can be used in their disease. Some customers say they have Crohn’s. Some say they have Ulcerative Colitis. Some say they other conditions and diagnosis. The list goes on. What you need to know is that Flare Support has worked for people with out of control diarrhea and flares. In fact, we use the very same steps outlined in Flare Support for our own flares in the past. When you read this information you’ll realize that it’s about the flare. And not restricted to a disease. Delivery: How is the information delivered? Payment Methods: Can I pay by credit card? Cheque? Paypal? Compatibility: Will it play on my Mac or PC? Is this compatible both for PC and Macs? : Short answer: Yes it is! Delivery: The information is delivered via the Internet. You are taken to a download page where you get very, very detailed instructions on how to download the e-book and/or watch the daily videos. Payment Methods: You can pay via credit card, via Paypal, and via online check through PayPal. Compatibility: Is this information compatible both for Mac and PCs? Yes it is. And the videos are compatible with all mp3 players, computers, etc. And yes, the guides can easily be viewed on any computer, iPhone, iPad, iTouch, Kindle, etc. Guarantee: Yes there is a guarantee. It’s a 30 day ‘Smiley Guarantee’. This means we’ll refund your money with a smile if you find the products not to be as you expected. The smile is important. If you don’t feel the information works for you, we will issue a prompt refund. All you have to do is email or call us. Support: Depends what you mean by support. The information has all been tested for various computers and devices. And it works. If you have an issue getting the files to open or play, you can indeed email us and we’ll do the best we can to help you. We do respond to support emails. So yes, we’re here to support you. – The most common food mistake during a flare (almost everyone makes this mistake). – Why the best supplements, used in the wrong ‘lifestyle,’ fall flat. – How the body deals with a flare… and why this needs to be changed instantly. – Why sleep, a heating pad, and tea just aren’t enough. – When ‘meditation’ and ‘stress reduction’ don’t work: How to avoid this trap. – Understanding your bathtub. Why the way you drain the water is critical. – How to take care of your body (in little ways that aren’t hard)! – Why you continue to have diarrhea even though you’ve been ‘avoiding stress’. 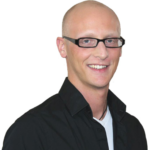 – How to move your body in a way that restores energy. – Why laying in bed can make things worse (even when you’re exhausted). – Find out which exercises actually prevent you from getting out of a flare. – The four core supplements every flare needs (that work)! And of course, as you can imagine, there’s a lot more and it’s all packed into Flare Support in a systematic, structured manner that’s easy to implement (even between bathroom trips). There are 4 major functional lab tests that could easily Un-cover the ROOT causes of your health problems. Knowing the right tests, and proper reliable labs is the KEY. 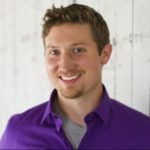 Don’t waste time and money on testing with these 4 videos and 1-hour Q&A session. 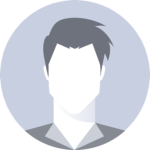 (easily could save you $1000s of dollars). I’m Ready to Join Flare Support! Risk Free and Fully Guaranteed for 30-days! It’s important to know Flare Support costs less than a fancy meal at a restaurant, yet has the potential to propel your health to a new level with this simple, actionable knowledge. This is one investment you want to make for your health and as quickly as possible! You deserve to live a symptom-free life, not constantly worried about flares ruining your life. If you’re not happy, just ask for your money back. We have a 30 day money-back guarantee, so you can take your time and decide. We don’t want to keep your money if you’re not happy about this product. Important Usage: What will happen once you click the order button. You will be taken to a page where you can fill in your credit card or PayPal details. This will be verified instantly and you will be sent to a page where you can download the information right after your credit card has been approved. The daily videos will be delivered to you via email each day for the next 7 days. 1) If by any chance, you are not able to validate your card please don’t get frustrated. Just email us at support@scdlifestyle.com and we’ll make sure you’re taken care of. 2) The download is instant. You will receive an email with all the download details right away. If you get directed to another page by chance, please don’t worry. Computers go crazy sometimes. Send us an email, and we will send you the download link and you will be able to download your materials without a problem. I’ve recently ordered the Flare Up Support, and have been trying to follow it. However, the material appears in need of updating. Specifically, I downloaded the 7-Day Flare Menu on Day 0, which contains a planned set of meals for each day, along with acceptable snacks and drinks. Great! But, then I watch the videos/read the guides for each day, and they don’t match the menu. So, which is more important to follow? The menu or the daily videos? And, if I started off following the menu for the past two days, does that mean I should start over and follow the videos with strict adherence? Thanks! 1. ls there a difference in the digestibility of butternut pumpkin and Japanese pumpkin? i.e. is one preferable than the other? 2. Can I substitute cucumber with zucchini? 3. Is tinned tuna ok to eat when referring to fish? Hello and thanks for reaching out! I don’t believe there is much of a difference in terms of digestibility for those two items. We’d try to stick with zucchini as it can be cooked and this makes it much easier to digest (cucumber acn’t really be cooked:) We’d recommend the highest quality of tuna you can get and make sure it is packed in water, not oil. I have the Flair Support materials – bought it some time ago but don’t recall when that was – am in a flare up and am shopping for more supplements. I’m not sure that I’m finding the “best” fish oil. Do you still recommend the “Faster Healthier Super Omega 3 fish oil”? I found one that resembles that description and it’s pricey-$55! PS – any newer updates on the program? 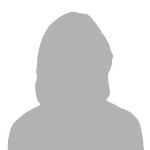 Hi Tammy – thanks for reaching out! That is still a high quality fish oil we recommend, yes:) We have not updated that program recently, but do let us know if you have any speicfic questions as we may have some recent blog posts as resources for you. Hi Donna – thanks so much for sharing! You’re on the right path:) Keep us updated! I need help. I have had diarrhea off and on since January. 5 weeks in January, 3 weeks in June and now another 3 weeks in September. I just had a colonoscopy and endoscopy this week. Won’t have results till next week. I am already gluten free. Was told a few years ago I have leaky gut. I started your intro diet on Tuesday after my colonoscopy. I am still having terrible diarrhea. I take Betaine and probiotics. I have never take Amodium but am really getting frustrated. Do you think I should not take the betaine during the intro diet, or do you think I should try Amodium just to get some relieve? I will be purchasing your e-book tonight and I am hoping that will give me all the info I need, but am concerned I might need the Flare up program as well. Please advise. Can you tell me if coffee or tea are allowed during the 3-5 day intro diet? Hi Donna – Decaf coffee is not allowed due to the additives. However, all regular coffees and teas that don’t have additives like sugar or natural flavors are allowed from Day 1. Thank you Lori Jo. I meant to say I will be starting with the INTRO diet- using the quick start quide that I already downloaded. 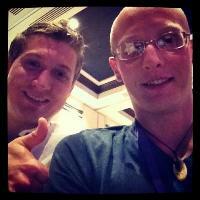 I also downloaded the SCD Lifestyle Surviving to Thriving guide. I will order the ebook and get started. Thanks again. I sure hope this works. Not really sure where to start with all the resources on your site. I’ve had chronic diarrhea off an one since January, lasting 3- 5 weeks at a time, going 10-15 times a day (no blood likely). I am completely gluten free but my recent stool test showed an overgrowth of bacteria (which is being treated) & inflammation. I will be getting a food sensitivity test done next week, along with a colonoscopy & endoscopy. I plan to start phase 1 of the SCD this weekend. 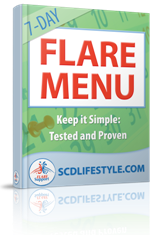 What I don’t know- is does your new SCD lifestyle solution book- cover everything I need to know about diarrhea flare ups and how to end them- or do I need to purchase this Flare Support. I really don’t know where to start and can’t afford everything that is offered. I tried to download the FREE – stop my diarrhea but it didn’t work. Please advise. The eBook will give you all the necessary steps to successfully complete the diet and start feeling better ! Please not it is important to start with the INTRO first, though. Are there any practitioners you know of in the UK? http://scdlifestyle.com/practitioners – Stephanie and Brie are our recommended practitioners, but they don’t work for SCD Lifestyle. They take new patients from around the world. I have been on SCD diet for the management of severe UC for 8 years. During 2015 I have experience 3 relapses with no apparent reason. At the moment I am flaring quite badly despite following the SCD protocol. My question is, do you think that your material is likely to assist someone who is very familiar with the diet and has followed it for so many years? Hi Pazit – our book is more for beginners but it does have a lot of valuable information. I hope this helps – I know Stephanie or Brie will be able to! I have UC and im living i Sweden, i have start the Intro diet and begin it 4 days, when i started I needed to go 1 time on the toilet with diarrea, and I feel its same now , do you think that the 7 days program could help me , even if im in sweden ? I’ve bought your flare support last week. Thanks for the tool. Hi Pierre, thank you for reaching out. It is all about finding the right diet that works for you. It may take some tweaking, but we encourage you to continue on a low allergenic diet, such as the SCD diet, and keep working toward building a custom safe food zone that works for you. Suffering with UC for 3 months with no help so far from 40mg Pred for 3 weeks. – does that include the testing? Or just points to the tests you think are appropriate? If so, how much would these tests costs out of pocket, no insurance. Thanks for reaching out! Sorry to hear that you’re having such a difficult time, but we commend you for taking matters into your own hands. Hi. I’ve been on SCD faithfully for 7 months. It worked great and I got off of Lialda after a month on the diet. By the 5th month I felt better than I had in 10 yrs since being diagnosed with UC. But in the 6th month I started to flare, and when blood appeared I immediately went back on Lialda. 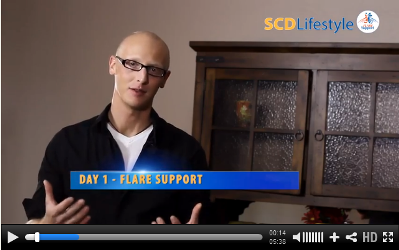 The flare continues now in the 7th month on SCD. I am not sure what caused the flare… I gave up diet soda when i started the SCD, but had 2 diet Pepsi’s the week before the flare started and one hard alcoholic drink, which I also had given up…. I’m not much of a hard liquor drinker anyway. However, I usually have 1 glass of wine with dinner, maybe 2 glasses on weekends. I am planning to call my Docter today ’cause I’m getting worried about the continuous bloody diarrhea, and mucous diarrhea. I am only eating well-cooked meats, mostly chicken, cooked veggies and fruit (pears & apples), eggs, & SCD yogurt. I’m a bit depressed ’cause I was feeling so fantastic a couple months ago. Is your Flare Support going to add anything more to what I’m doing, aside from completely giving up wine? I alternate between IBS-C and IBS-D and normal BMs (for 13 yrs at least). After having been lactose-intolerant for for that whole time, and then realizing I needed to be gluten-free a year and a half ago, I did an ALCAT blood test which showed I had a lot of food intolerances as well EX: Cabbage, Green Beans, Almonds, Beef Turkey, Pork, Apples, Bananas, Apricots, Jalepenos, Bay Leaves to name a few). I seem to be adding more intolerances and overall have better, more normal BMs than I used to have, but still have D and sometimes C (depending on what I eat). I just want it all to go away. I have lost 50+ pounds in the last year…but am still worried about getting type 2 Diabetes (mom, dad, brother, sister) or even cancer or heart disease. So I feel overwhelmed about what I should or should not eat, since most plans include things I am intolerant to. What should I do?? BTW I did download your quick start SCD plan…but still feeling overwhelmed and this weekend ate beef chili which caused D, so now I am regretting it. Argh and help. Hey karen – start SCD, enzymes and check for low stomach acid. Those are the first steps. Later you’ll need to work with an experienced practitioner to find the roots of your issues. Hello! I am interested in trying this out. My main question is whether i can do the diet without chicken or eggs. For some reason, i get hives every time i eat them. Ive been on scd for about one year and three months but have had more hospitizations during that time than ever before. I dont have high hopes to be honest but i am desperate to make this flare go away since i am still on prednisone and imuran which arent working. I eat all the other foods on the diet (besides nuts/seeds/beans) but am nervous about how much i can have if i cant eat chicken and eggs. Thanks for your time and dedication to this! I am a tough case so if your plan works, it will be a miracle. Oops! Sorry Jordan…just found the Bonus Flare Support Tool in the email you sent. One other question…when can the SCD yogurt be added? Is there some reason you can’t have it during the Flare Support Week? I’m very interested in your solution and would love to join. As a Full Vegetarian though I need to make sure that your program will work for me. Are your supplements vegetarian-based? Or do they contain animal products? I noticed in some comments people take fish oil as part of your program. Can you guarantee that: 1 –your supplements are completely Vegetarian; and 2 –I will be offered Vegetarian alternatives to all supplements, meal plans, etc. involved in your program? If this isn’t the case, unfortunately your program won’t work for me. Our material will not support a vegetarian. We’ve been testing this over the last year and we don’t have success with people unless they eat meat. It’s probably not a good fit. I am willing to break a 20 year +vegetarian diet (already eating gelatin on SCD, so why not?) but do think I’d have to draw the line at red meat. Does the Flare Support menu demand bone soup or red meat? Thank you Juniper. I think you’ll like our latest podcast, which will be published on the blog on THURS 8/22. Please check that out. In the meantime, we typically recommend people start out with a chicken based soup and bone broth… which is generally well tolerated in place of a beef based broth. I have IBS-C and Arthritis, so therefore, inflammation. I just went off Prednisone which alleviated the stiffness and slowed down the inflammation, but I would like to eliminate the inflammation from taking over my body as severely as it did. Would your Flare Support work in this regard even though I have no diarrhea whatsoever. Yes, Flare Support is focused on lowering inflammation in the body as quickly as possible. That’s the idea behind the “Bathtub Theory of Inflammation” – we’re going to support you to stop filling up your bathtub and start draining it in 7-days. This seems like a great program but I’m not suffering at the moment and have been stable and feeling well for the past two months. Will Flare Support continue to be available (even at the higher price) for the foreseeable future as I never know when I might flare? Just to mention I had three sessions of Rational Emotional Cognitive Therapy a couple of months ago and apart from some huge changes in my behavior and thinking my bowels seemed to benefit too!!! Feeling much more chilled generally so guess that must help things. Right now, we anticipate having Flare Support available for the foreseeable future. The only change being it will go up to full price beginning 6/15. “barely make it in time”. In fact I have often NOT made it in time. Thanks be to God it has never been in public. I have been using the SCD lifestyle for approx 6 months and I am very impressed with the results. I have UC-C, which is atypical but I find that it seems to be getting worse the more I follow the diet. I suspect that I may be doing something incorrectly, or that because I am prone to constipation, all the protocals for SCD may not be what I need. Any ideas or suggestions? I would like to try your new offer, but if it predominantly focuses on diarrhea then I may not be a suitable candidate.